If you’re serious about wanting to create more sales and subscribers, then here are 3 mistakes (and how to avoid them) you need to know. 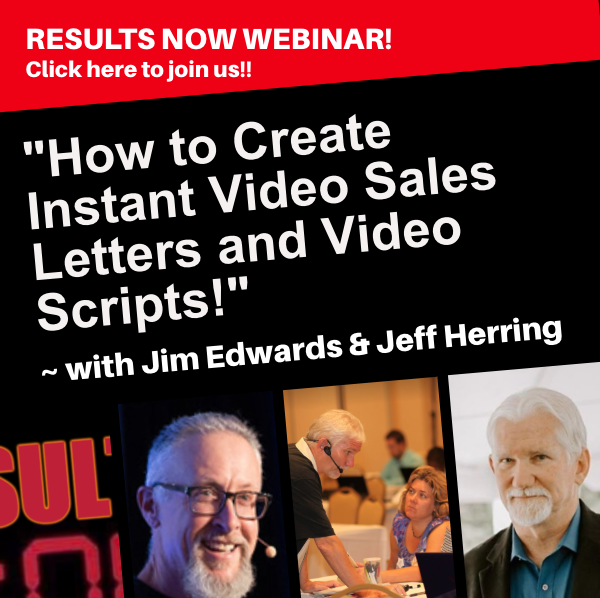 Because it looks hard, it’s easy to fall into the mistake of believing it is hard..
Bottom Line with this particular mistake: making this mistake means you limit yourself and hold yourself back from creating profitable video sales letters. If you think something is too hard, you’re naturally much less likely to do it.. Steering clear of this mistake is key because if you don’t if you don’t tap into the power of video online, you’re going to leave lots of sales and subscribers on the table. Your business will not grow as fast and might even get left behind. 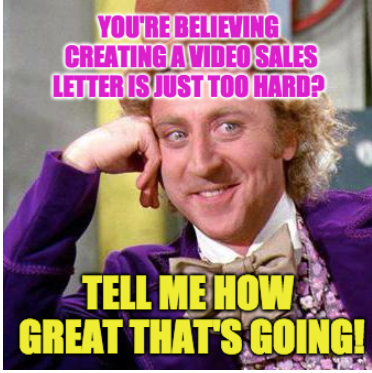 All generations now were raised on some kind of video, and you want to be able to leverage video in your online business..
Bottom line: discover how step-by-step easy creating a video sales letter can be. Once you know the steps, you’ll then know how easy it can be. Online entrepreneur unlock big doors when they avoid this video sales letters and video scripts mistake. Here it is: being afraid of creating the content and copy for the video sales letter keeps you from learning how to do it easily..
What’s most important about this mistake is that your perception is your reality. If you’re scared to create the copy and content because you think it’s hard, you won’t do it. And you’ll make up other reasons not to do it to support your fear. Again, you lose out..
Bottom line: this mistake is critical to your success because stay with this mistake and you take yourself out of having video sales letters as a sales option. Your sales will be less. Your subscribers will be less. 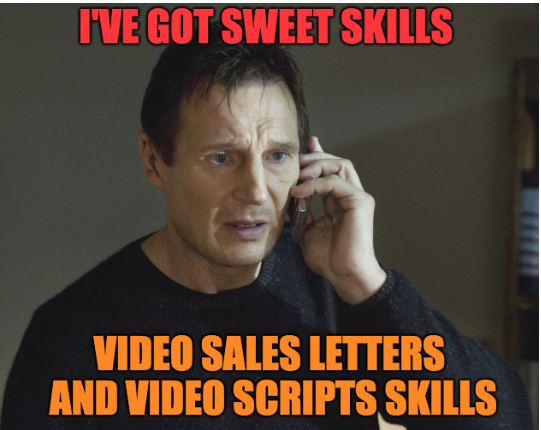 And you’ll make less of a difference as well..
Next thing you know, you’ll be creating video sales letters for everything!. The #1 thing you need to understand with this is this: prospects who watch a video retain 95% of a message compared to 10% of the message when just reading it in text. Do you really want to leave 80% of your prospects behind?. The most important thing to get understand about making this mistake is when you don’t get the absolute power of video you’ll not be motivated to use it. You’re stuck doing the same things that no longer work as well over and over again..
Everyone needs to understand this is key because if you don’t you’ll make less money, create less subscribers, and make less of a difference. Plus, you’ll get lost in the crowd of your niche and never stand out..
For best results to avoid this mistake, you should realize the power of video. Just using the word “video” in an email subject line increases open rates by 19% and click through rates by 65%.. 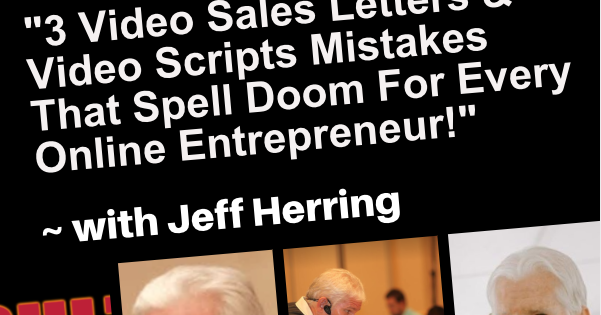 Looking at the big picture, these 3 video sales letters and video scripts mistakes can spell the difference between massive success and epic failure for you as a online entrepreneur. 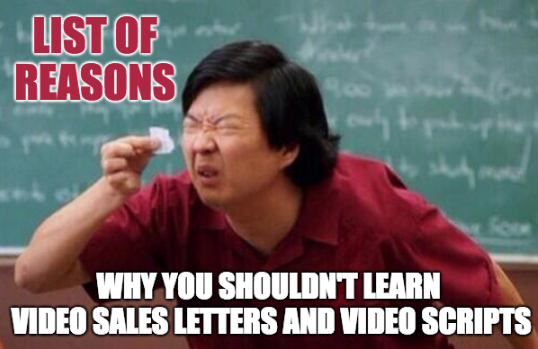 But never forget that getting video sales letters and video scripts success and moving to the point where you create more sales and subscribers takes a lot more than you learned so far. Think of the article here as just the start of your journey towards getting a lot more facts about what it takes to join the ranks of successful online entrepreneur.